That’s what French designer Roland Mouret said about his spring/summer 2019 fashion show, which was held on the roof of a building in London’s South Bank. Having the show there was a risky decision, so 400 umbrellas were gathered in case it began to rain. But they were never used. The weather actually was perfect for the show–it didn’t rain, and a breeze blew the clothes, bringing them to life. 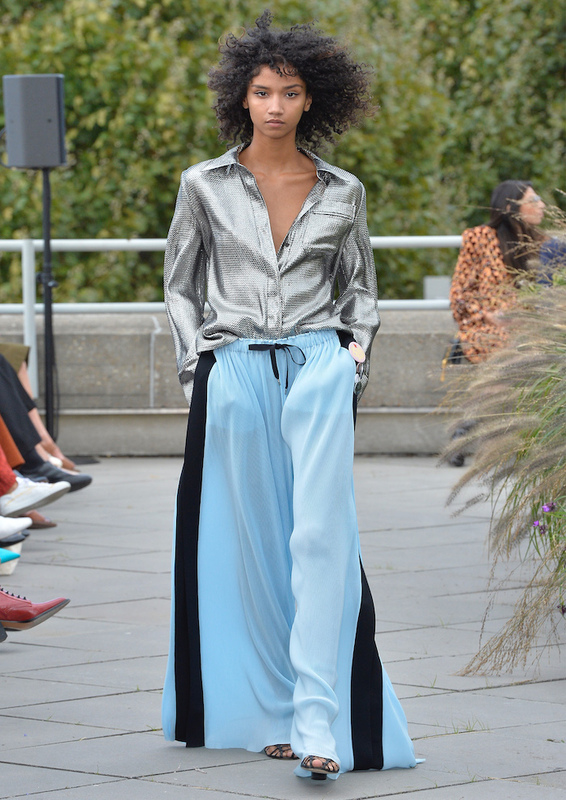 Light, airy pieces are a signature characteristic of the season’s collection and Mouret’s work as a whole, and the wind truly enhanced the style and nature of the clothes. The way Mouret drapes his fabrics is not only a key theme in his creations, but it also reflects his ideas about living and being in the present. To explain this, Mouret proposed two scenarios: imagine you are at the beach, and you’re wearing tight trousers and a tight top. Now compare that to being at the beach, but this time, you’re wearing the same tight trousers and a loose top. The breeze, the sand, the gentle spray from the sea–these are neither helping nor hurting you; you are simply existing, feeling whatever the elements of nature make you feel. That is the effect of wearing floaty clothes. Another important facet of Mouret’s work is the concept that clothes express messages. Floaty fabrics expand, and with that expansion the messages they convey are also extended. In this collection, which features slender and romantic silhouettes, Mouret had a few specific ideas to share: he wanted to reinterpret eroticism and courage and empower women by showing them a way to own their sexuality. 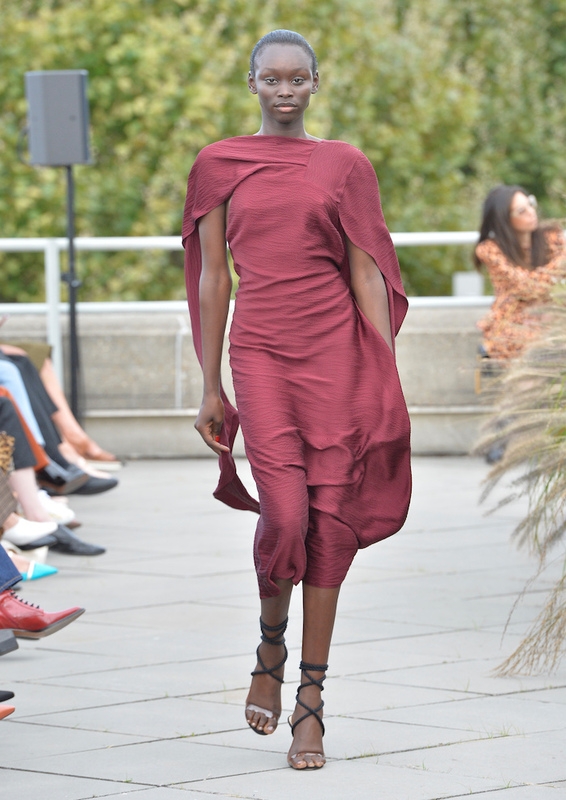 The outdoor setting gave the show an authentic quality that conforms to Mouret’s views on fashion. He said he does not like controlled shows because nothing manipulates the clothes; all aspects of the experience–the lighting, the wind, the location–are chosen and formulated, created to the exact specifications of the designer. After his first endeavor as a designer floundered, Mouret relaunched his label in 2006, following the release of the Galaxy dress, which was a tremendous success for him. In 2010, Mouret and Simon Fuller’s XIX Entertainment gained the rights to the name ‘Roland Mouret.’ The brand now sells perfumes, eyewear, shoes, bags, accessories and bridal items, in addition to clothing. In the future, Mouret will continue to create pieces in his signature style.